If you’re from a country without a reciprocal agreement with the Japanese government (Americans, I’m mostly talking to you), you will have to take a driving test when you go to convert your “foreign” license to a Japanese one. Make no mistake, you will fail the first time, and possibly repeatedly. Here’s why. Some expatriates will grouse that this is a kind of “foreigner” tax. That the very nature of being non-Japanese will somehow mean that the system wants to get as much money out of you as possible, because there is a significant fee every time you take the test. 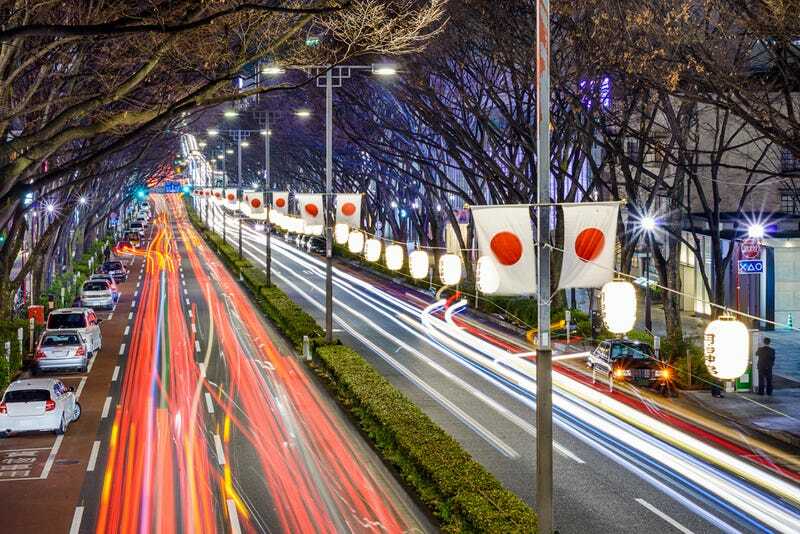 However, there is a much better explanation: the Japanese driving test is hard for most of those who have to take it to convert their license. Mostly Americans. It’s not that Americans are necessarily terrible drivers (although they can be, and I admit that I was), it’s that most conversions tend to happen when many conversion test takers (and this includes Japanese nationals converting licenses, say from Hawaii or California) have already been driving for about a decade, give or take a few years. This means that not only have we picked up bad habits, but we also tend to intuitively know how the rules work where we learned to drive and where we had a lot of practice. And that’s not Japan. When you convert your old license to a Japanese license, you will not be required to go to drivers’ education school. Anyone getting a brand new license will have to do so. Brand new license seekers usually pass on their first time. But there are trade offs which might not be worth it. First, they have to spend about $3000-4000 on drivers’ education. It’s incredibly expensive. And the reason why a new license seeker passes is because they have how to pass the tests (driving and written) drilled into them—regardless of whether it matches reality or not. Second, they will have a very, very long written exam with 100 questions in Japanese. I’m not sure I could read it now, let alone seven years ago. So, without the education courses, this means those bad habits and rules I mentioned? Yeah, well, get ready to screw up as what’s “safe” to you turns out to be a violation of the test. The only way to really effectively learn what these differences are is by doing research online or speaking to your friends with licenses. Many of the rules aren’t just different, they’re opposite or otherwise seemingly in conflict with “common sense” about driving. Oh, and they don’t reflect actual road conditions or actual driving. No, really, you’re driving one of these. Because the old Toyota Crown taxi model is surely comparable to whatever vehicle you’ll be driving, right? Noooooope. Not only does it seem huge by comparison to most of the vehicles you’ll be driving, it has a steering wheel mounted automatic shifter (luckily I learned on a 1976 Crown Victoria at 14/15, so I can use one) and... Oh who am I kidding? It’s just in general nothing like what you’ll probably own/rent/drive. This advice comes from my old friend and coworker Gary Cook. Having arrived in Japan a couple of years before me, he warned me (and I didn’t really understand until I understood, if you get me) about this. Every single action you do for the entire test, you have to make super exaggerated. In my opinion, almost dangerously exaggerated. Checking your mirrors, stopping, rolling down windows and checking for trains, checking your blind spots, any kind of necessary shifting. It all must be done like you’re trying to get a few pity bucks from the drunken rabble strolling along Sixth Street outside of Esther’s Follies. How many of us actually spend five minutes walking around the vehicle, checking tire tread, checking air pressure, checking for anything unusual or weird, any kind of obstructions (or small furry mammals), every time we go to use our car? Maybe we should. Maybe it’s a great habit to get into. Yet... Few of us do it at all, and even fewer of us do it with any kind of regularity. You’ll not only need to do it, see #2, because you’ll need to put on the Ritz to put the should-have-retired-years-ago metro police officer grading your test in a good mood. In Japan, when you approach a nearside turn (that’s a left turn in Japan), you need to move over pretty close to the curb before you turn if you have a red light or as you approach a turn and complete it if you have a green light (no nearside turns at all on red). This is to intentionally cut off someone on a two wheeled vehicle which may come up on your blind spot. Given the way that many scooter drivers and motorcyclists will try to squeeze into whatever space is available, this seemed (and still seems if I stop and think about it) terribly dangerous. My natural inclination would rather be to pull AWAY from the curb and give potential two wheelers as much space as they want, that way I can see them and allow them to go ahead of me. Do that in a test, and you will fail. Only tepidly commit to approaching the curb before a nearside turn, and you will fail. You need to get used to the idea that you are going to cut off two wheelers before your turn, and they damn well better like it. Another potential failure point: brushing the curb. If you do a curb check, you can’t go forward. If you go forward, you fail. Instead, you must stop, back up, reorient the vehicle and then proceed forward. Again, this just seems extremely dangerous and in most traffic situations would probably cause an accident. This is especially true in rush hour traffic which is bumper to bumper. If you hit the curb, it is unlikely that you will have the space to stop, back up, reorient the vehicle, and proceed forward. The ultimate rule of the road is avoid accidents at all costs, and backing into a tailgater just so you can follow proper procedure for a curb check helps absolutely no one. I have to admit, I never quite understood which was which, and here’s betting that you won’t figure it out either. If you do an automatic fail (crossing over a stop line at a stop sign, not adequately checking for trains, curb checking and proceeding immediately forward), then the test simply stops and Mr. Omawari-oyaji-san (grandpa patroleman) will tell you to return to the beginning of the course. It doesn’t matter if you have everything else perfect, which is why it is an automatic fail. If you avoid automatic fails, then the pass rate is 70%, but good luck understanding where your points are docked. I never did. The bottom line is that the Japanese driving test just doesn’t make a whole lot of sense, doesn’t resemble reality, and like many Japanese tests (coughcough英検coughcough) is only a matter of memorising precisely what you need to do in a super ritualised way, and really isn’t that helpful once you get through it. So, dollars—er—yen to donuts, you’re going to fail your first time. Probably your second. Maybe your third. Maybe even more if you’re driving a manual. Jalopnik East is your daily dose of the latest automotive news out of Asia, covering domestic developments and car culture in Japan, Korea, China, Southeast Asia, and beyond. Just because you can’t drive it, doesn’t mean we can’t share it with you. Catch us every day from 5am to 7am ET.